The Palouse region in Eastern Washington State is just part of a larger area covering several counties as well as parts of Idaho and Oregon. This diverse agricultural area is well known for the fertile hills and prairies that support wheat, legumes and canola fields. In addition, there is abundant wildlife including Moose, Eagles, Deer, Marmot, and many bird species. Add to this, gorgeous jaw dropping vistas, many abandoned farm houses, barns and automobiles, and it becomes a photographers playground! 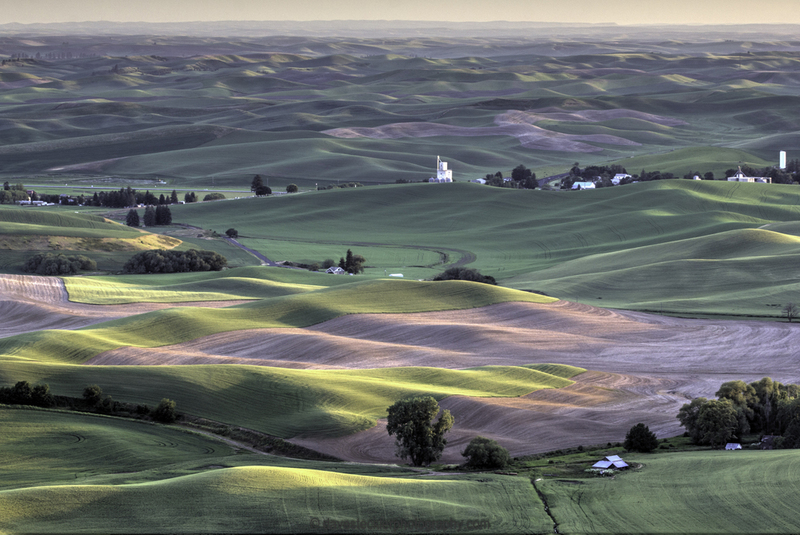 Palouse Panorama with Steptoe Butte in the distance.